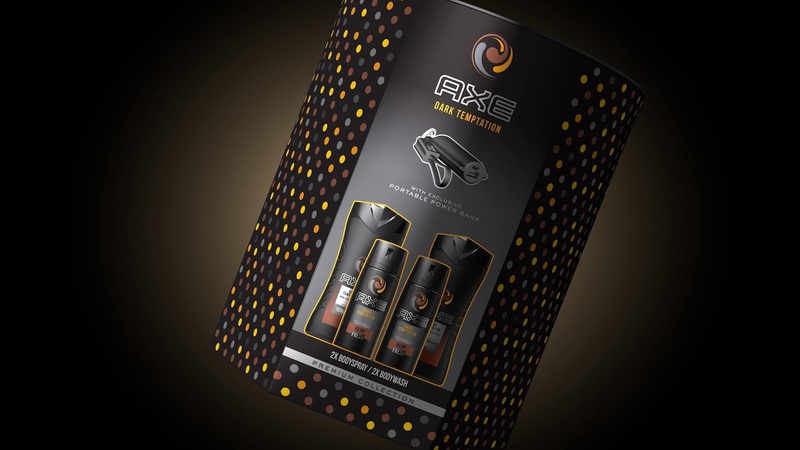 AXE (LYNX in the UK) introduces a new gifting range with a holistic 2D and 3D packaging design by London-based AXE brand guardians, PB Creative. 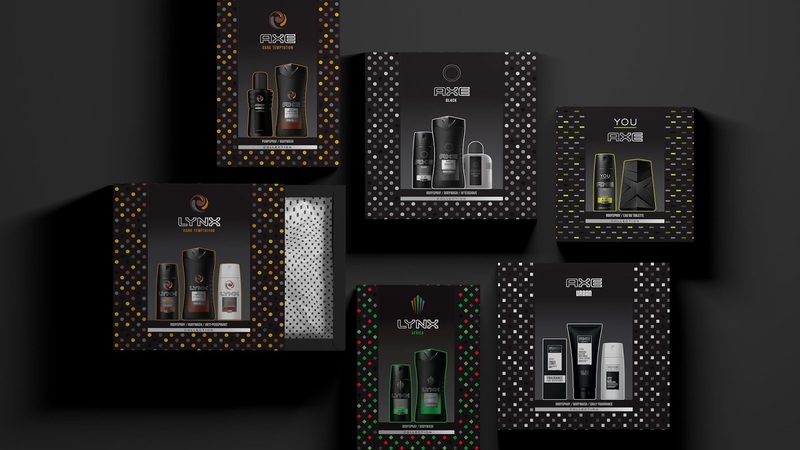 In the build up to the festive period, AXE’s parent company Unilever asked PB Creative to further enhance its gifting experience for 2018, while reducing complexity and increasing sustainability. 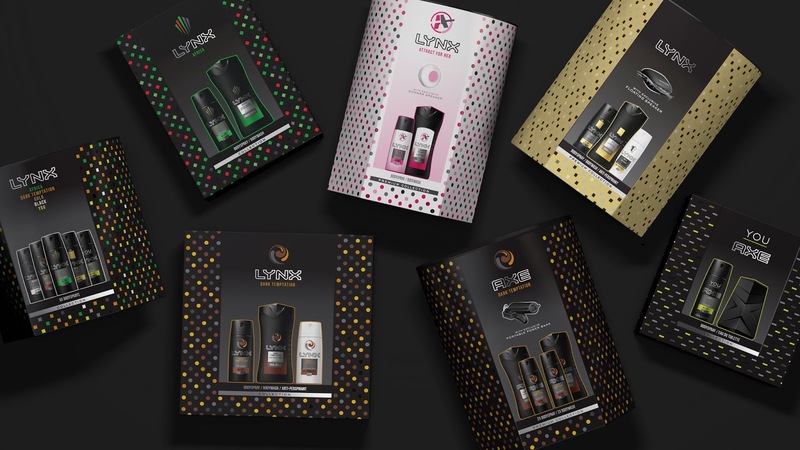 PB Creative was also tasked with taking the brand’s gifting proposition in an exciting new direction, with a distinctive design that would disrupt the category while remaining true to the brand’s core identity. The brief was to create a sense of anticipation and make the two-tier range – premium and regular – more aspirational. To achieve this, PB Creative devised a layered approach to the unwrapping experience. Seasonal gift packs typically feature large windows to showcase the products inside, leaving little to the imagination. These were eliminated to allow a much bigger graphic canvas with pack imagery of the contents, delivering a premium, desirable and heroic feel. The result is truly celebratory and puts the gift back into gifting. At the core of the 2D design is a range of bespoke patterns, each derived from the brand’s distinctive variants, using geometric forms and colour palettes that link directly to the fragrance icons. This allows the range to successfully balance colour with black and deliver a premium feel that looks wrapped and ready to give. 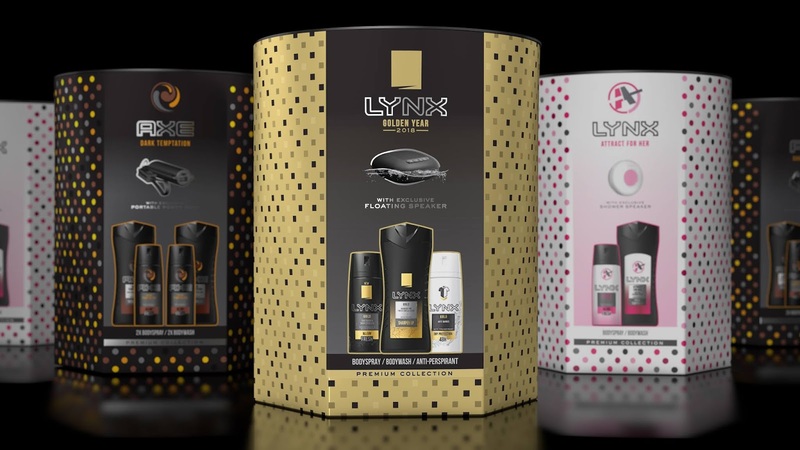 The premium tier comprises desirable gifts such as in-shower speakers, as well as toiletries, housed within a printed hexagonal-to-round gift box. Once the recipient opens the box, they’re presented with a bespoke wrapping-paper-style bag, amplifying the sense of anticipation. The regular tier is made up of hull and slide boxes. When opened, they also reveal wrapping-paper-printed lining, creating a sense of delight and enhancing the consumer experience. 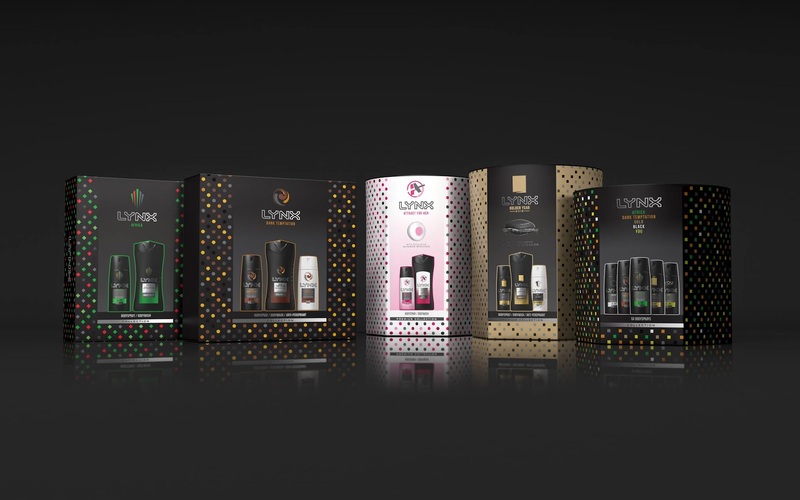 The range serves to create shelf disruption and standout against competitors, while heightening the gifting experience for both purchaser and recipient. Another key factor in the brief was to develop a range of new 3D core structures for each tier that would streamline the portfolio and improve sustainability. Three largely paper-based structures were created – hexagonal-to-round containers, hull and slide boxes and sleeves to encase rucksacks and washbags. 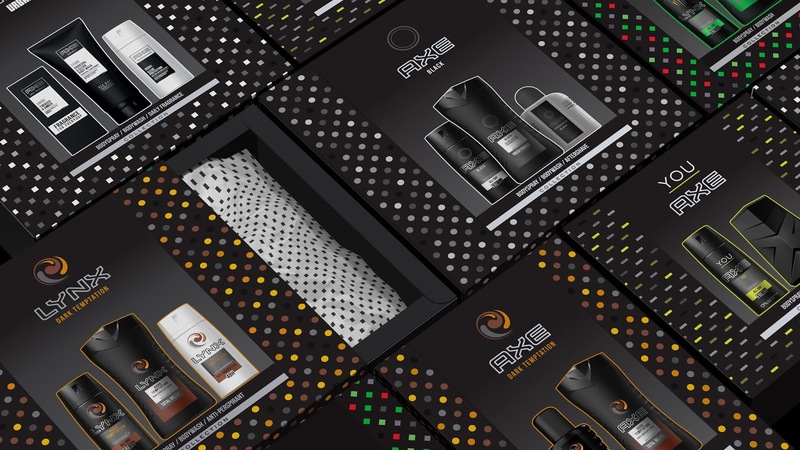 The team at PB Creative also devised an innovative packaging strategy that eliminates the need for internal plastic trays, using predominantly paper-based materials to create a fully recyclable pack. As a result, gift configurations are totally flexible in pack, complexity across the whole portfolio has been reduced and sustainability maximised. Seasonal gift packs typically feature large windows to showcase the products inside, leaving little to the imagination. These were eliminated to allow a much bigger graphic canvas with pack imagery of the contents, delivering a premium, desirable and heroic feel. The result is truly celebratory and puts the gift back into gifting.